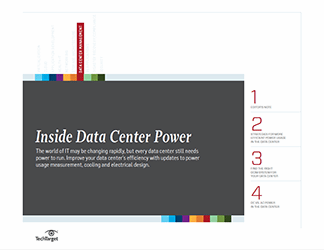 Power consumption accounts for a large portion of data center operating costs, so it's important to understand power usage and efficiency when planning a new build or updating an existing facility. While you cannot eliminate power use, there are some smart choices that can increase energy efficiency, reduce computing hardware and cooling needs, improve energy efficiency and even take advantage of alternate energy sources. Do fuel cells have a place in the data center?